Do you guys remember when I used to post different nail art and nail designs EVERY day almost? No? Yup me neither ! It seems like it was a billion years ago because I haven’t posted anything to do with nails in a long time. 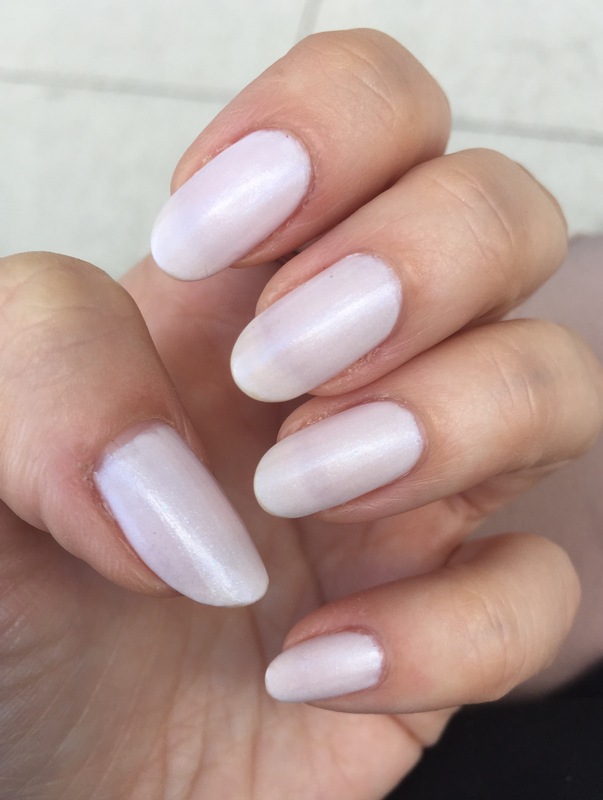 And the reason is this right here – I am hooked on this OPI Chiffon my mind polish. I went from a bright vibrant nail polish wearing to this? 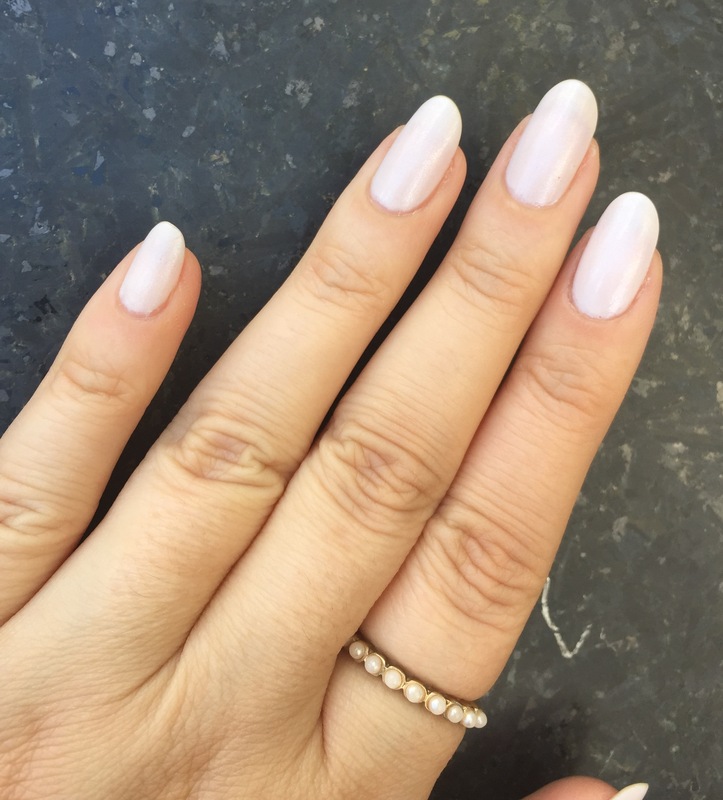 OPI has a soft shades collections and I believe this is their 2015 line. I actually took this from my mom. I saw this and was like mooommmm how do you have this? and I am taking it. It’s the most perfect gentle but still statement making white shade. It’s so milky looking and I feel like it suits any skin tone. What makes it so great is this very gentle light very subtle shimmer it has. It’s blue and purple and barely noticeable but that’s what makes it so gorgeous. It’s very hard to photograph light polishes and show their true colour so I got really close to this to let you see how gorgeous it is. I haven’t been wearing any other polish, no designs, no nail decor, nothing. Just this and I love it.